An Eastbourne police officer has been sentenced for assaulting a cage fighter in a bar brawl. Robert Rangelely narrowly escape jail when he appeared at Brighton Crown Court yesterday (Monday June 25). The 33-year-old detective was given eight months imprisonment suspended for 12 months, 170 hours community service and ordered to pay £1,500 compensation to his victim and £1,750 costs. The sentencing followed a trial in May when Rangeley denied assault but was found guilty by a jury. His colleague PC Paul Bridger was cleared of ABH on May 25. The court had heard the officers were off-duty at the time of the incident in Maxims in South Street in January last year when Rangeley was pushed to the floor. Later, assault victim Martin Lovatt was found lying on the floor covered in blood. Jurors were told during the trial that Rangeley initially told police and paramedics he was responsible and apologised, but later claimed he had blacked out and did not remember the assault. The court heard both men were arrested that day and Mr Bridger, a Lewes-based response officer from Polegate, was suspended two months later. Rangeley, who lives and worked in Eastbourne Police, was on sick leave at the time. 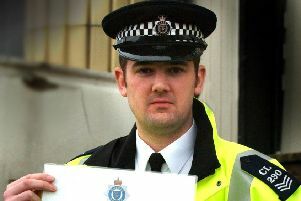 After the sentencing, Detective Superintendent Steve Boniface, head of the Professional Standards Department, said, “While the incident occurred while the officers were off-duty, both were suspended from their posts and now the criminal proceedings have concluded we will consider what disciplinary action they should face.